Aurora HDR 2017 - exceptionally capable HDR photography software for Mac. Create HDR looks that will astonish. Aurora HDR 2017 helps you make unimaginable HDR photographs seamlessly. Create HDR from a single shot. While HDR photos mostly originate from blending numerous brackets, Aurora HDR 2017 allows to create lovely HDR from an individual shot as well. Drop your single TIFF, JPEG, PNG or RAW and let Aurora HDR 2017 do its enchantment. 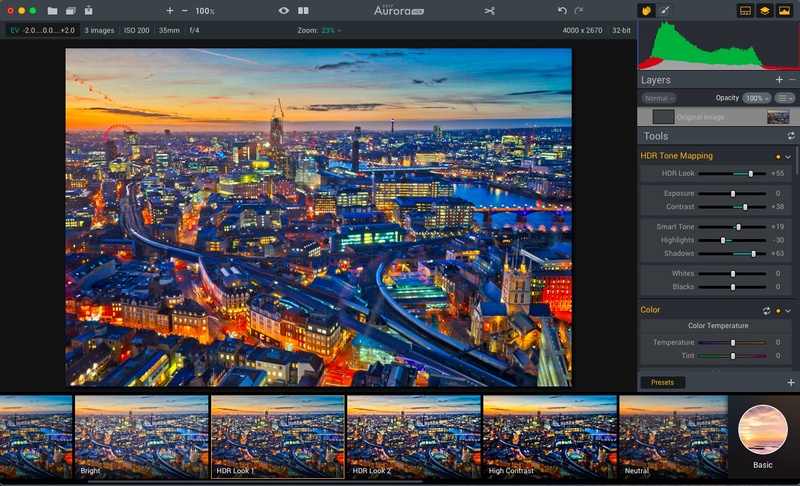 Aurora HDR software has all the tools you’ll need to make excellent HDR photographs. Increase or decrease HDR look, control tone and color, remove ghosting, noise and use layers for speedier workflow. More than 100 features were developed particularly for HDR photography. Image Converter Pro is an enterprise software to create, edit, and compose digital images. It can read, write, convert and combine images in many formats. It can crop images, change image colors, and apply various filters.